The saying often goes that children are our future. That cannot be truer. The young people of today will someday be responsible for the well-being and survival of the human race. The children, those who wake up each morning to go to school, to learn the skills and gain the knowledge required for society, will one day lead us into a bright, new tomorrow. When children go to school, they take in the knowledge handed down from generation to generation. Language, mathematics, art, even home economics — these subjects are all necessary this day and age. But there are some things that cannot be learned in a classroom. Leadership — the ability to guide others, peers, colleagues, fellow citizens of society — leadership is a skill that is essential to develop. Luckily, leadership can be learned in many ways, such as in martial arts. Martial arts has many great benefits, not the least of which is developing students and children in becoming great leaders. Today, Evolve Daily shares 4 Ways Martial Arts Develops Children Into Leaders. When children join a martial arts class, they learn many great things. The fundamental techniques, of course, brought about by constant practice throughout the years and diligent study. After gaining a high proficiency and greater understanding of any martial art there comes with it the sense of mastery and an ability to impart the knowledge gained to fellow students. In a martial arts class, it is common for students to demonstrate skills and techniques which they have already learned to help teach new students. For example, a more advanced student may be asked to show the rest of the class how to deliver a proper punch or kick, or perhaps how to escape a situation on the mat. These more advanced students are put in a position of authority, providing them an environment to hone their leadership skills in helping bring their peers along. The power and ability to educate others is a great leadership skill that can be applied far beyond the reaches of the gym. BJJ fosters discipline in your child. One of the many great benefits of martial arts training is that children develop a solid sense of confidence within themselves. Martial arts and its techniques requires a certain degree of patience and attention to detail. The many moves in various disciplines take years to master. However, once students are able to learn the techniques, there is a sense of accomplishment. This sense of accomplishment empowers children with self-esteem and confidence. These two traits are necessary to become good leaders. When students are confident in themselves, they are better suited to help others in leading by example, or by actually helping one another. There are a lot of instances in the gym wherein students are allowed to work together to achieve common goals. One of the fundamental teachings of martial arts is to always respect and honor our elders and superiors. This provides a natural environment where leaders can be cultivated. Martial arts is a great way to bully-proof your kids. Often during training, students are required to interact with one another, whether it is practicing drills or in light sparring. They often say that the martial arts gym is a place where you can meet great new friends, and build strong relationships that will last. Your gym mates and fellow students serve as your comrades in life, and working with each other on a daily basis develops tremendous social and interaction skills. Social and interaction skills are very important in today’s society. In a digital age when people, and especially a lot of children, are always engrossed in technological gadgetry, sometimes having meaningful social interactions is lost upon us. Martial arts gives children a new avenue of “playing outdoors”. 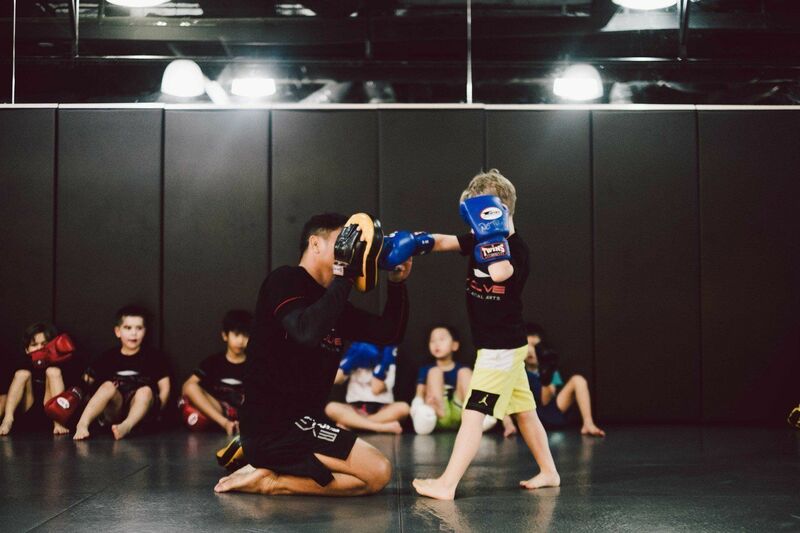 Sports is undeniably a great way to help children develop social skills, and martial arts is the perfect activity to achieve just that. 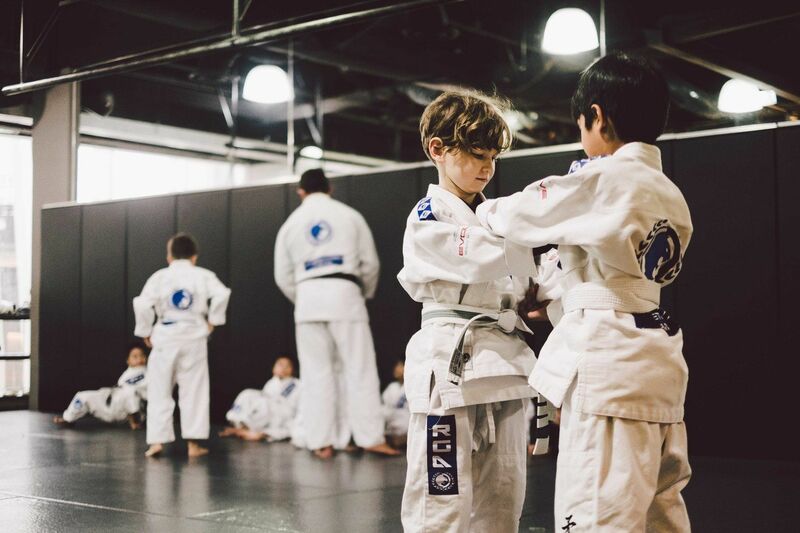 Attending martial arts classes will help kids learn how to lead, in and out of the gym. Perhaps the most important lesson martial arts teaches us is the value of perseverance and discipline. In business, in life, and in any matter, things will not always go as we had planned. Along our journey, we will encounter trials and tribulations, difficult times that will require great willpower and determination on our end to overcome. Because martial arts will push the limits of the human mind, body, and spirit, a person can discover a great deal about himself during training. One discovery is, of course, that anything is possible with a healthy amount of perseverance and discipline. Never giving up is an important life lesson that we can learn during martial arts training. Accompanied by this iron will is tremendous discipline. In martial arts, we learn how to set ourselves up for success by adhering to awesome life principles. Martial arts isn’t just something that you pick up and do as a physical activity. It is also a great mental and emotional journey that develops us as proper human beings in society, and also makes us and our children great leaders of tomorrow. Wanting your child to develop into a leader? Sign up for a trial class!